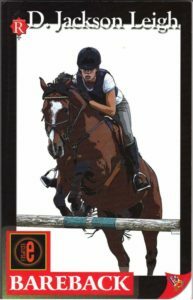 A devastating accident that claims the life of her Olympic-bound mount lands Jessica Black and her new stallion at Cherokee Falls Equestrian Center, where she is teamed up with an arrogant, womanizing trainer. Skyler Reese is a former gold medalist, now blacklisted as a professional rider. The sparks that fly between the two women are anything but friendly at first, but the heat between them changes to passion as Skyler helps Jessica prepare for the upcoming competition. Still, a dark secret Jessica is hiding threatens both her bid to win a spot on the U.S. Equestrian Team and Skyler’s triumphant return to the eventing circuit.